Log Siding from North Country Log Homes is the ultimate log siding product. It features a classic log home look with full log corner detail, and boasts a durability that has never been seen before in siding. Before you decide on ordinary vinyl or aluminum siding, look into our log siding. You won't regret it! 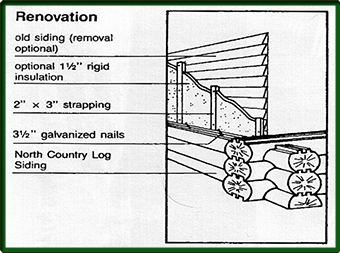 The log siding is available in 8" and 10" sizes. It is manufactured from our whole log product so it has single T&G joinery. The siding is fastened to the frame studs by blind nailing or screwing. 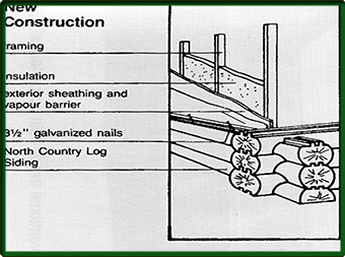 On renovation projects this is a good time to add extra insulation under the log siding. These kits are suitable for both new construction and renovation projects. 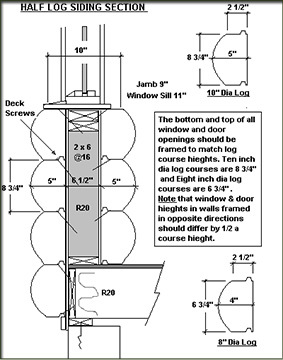 You can make any house look like a new log home with our kits.